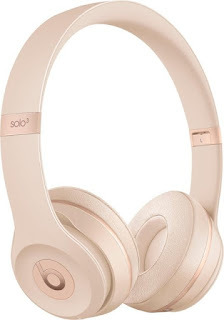 Today only, while supplies last, get a pair of these Beats by Dr. Dre - Beats Solo3 Wireless Headphones for ONLY $159.99 (Retail $299.99)! With up to 40 hours of battery life, Beats Solo3 Wireless is your perfect everyday headphone. With Fast Fuel, a five-minute charge gives you three hours of playback. Enjoy award-winning Beats sound with Class 1 Bluetooth® wireless listening freedom. The on-ear, cushioned ear cups are adjustable so you can customize your fit for all-day comfort.